Community Video: Filming, Editing & Production! Video Editor Hawaii: Any budding social entrepreneur who wants to create a business to change the world will need an online presence! Social Media, Website and Youtube are some of the most important. So Video Editor Hawaii is special focus job for an intern or volunteer with excellent and efficient video editing and research skills! We created a Hedonisia Community Team Youtube Channel for our instruction and educational videos to manage most aspects of our community operations. Creating videos is an important part of our community operations and the Eco-Community Instruction videos we create are an important focus job for interns. 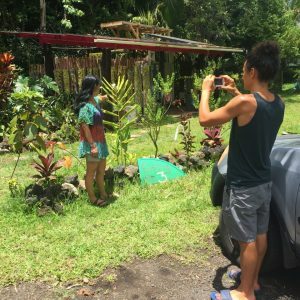 As well, visitors to our site, love to see the projects we are working on and how we approach the various challenges of operating an intentional community in the Hawaiian rainforest. YouTube makes it very easy to add text, titles and captions to videos to make it searchable. All the text bubbles, titles, beginning and endings are so easy with improvements in Youtube online editing that we just have to do the basic cutting a splicing with apple iMovie. Video creating, editing and splicing, organizing, rendering, uploading to youtube, adding text, titles, descriptions etc for SEO is probably the best training for any budding Activist or Feminist Entrepreneur to understand video PR for whatever future projects they have in mind! We are also making mini documentaries about our EcoFeminist Web Portfolio. Interns who work on these projects will be doing video interviews, photography and editing, researching for images and footage on the web that illustrate or provide video bibliography to support the various goals of these sites. We have created a doc on Video Instruction & Editing in Apple iMovie or Youtube which we are continually updating with the latest instructions. That might be one of the projects you will be working on as a Video Volunteer or Intern!